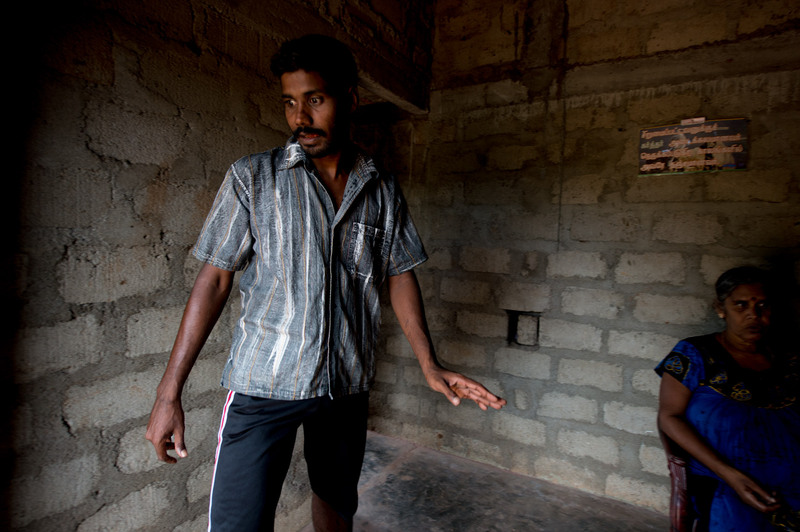 Raveendran is war victim who suffers from severe mental health issues. His wife looks after him, and they have a son Suyanthan who is eight years old. Raveendran can hear, but he cannot speak. The nerves of his right hand are withering away and his muscles become rigid, twisted and tightened involuntarily. His mood can fluctuate between abusive anger and hysterical laughter within seconds. He often beats himself uncontrollably and his unpredictable behavior can be wild and aggressive. His mood changes make life miserable for his wife and child.